means Miro Media Limited, a limited company registered in England under company number 04489916, whose registered address is Unit 7 Holywell Business Park, Southam, Warwickshire, England, CV47 0FG, and whose main trading address is Unit 7 Holywell Business Park, Southam, Warwickshire, England, CV47 0FG. Our Site, www.miromedia.co.uk, is owned and operated by Miromedia Limited, a limited company registered in England under 04489916, whose registered address and main trading address is Unit 7, The Court, Holywell Business Park, Southam, Warwickshire, CV47 0FS. 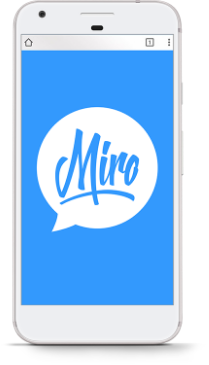 Miromedia Limited may also be referred to as “Miro”, “Miromedia” or “Miromedia Ltd” throughout these terms, on the website and online. Our VAT number is 758170610. We are a member of Google Partners, and as such regulated by Google LLC. Our Data Protection Officer is Andrew Male, and can be contacted by email at dpo@miromedia.co.uk, by telephone on 01926358200, or by post at Miromedia, Unit 7 Holywell Business Park, Southam, Warwickshire, England, CV47 0FG. Our Site uses analytics services provided by Google Analytics. Website analytics refers to a set of tools used to collect and analyse anonymous usage information, enabling Us to better understand how Our Site is used. This, in turn, enables Us to improve Our Site and Our services offered through it. You do not have to allow Us to use these Cookies, however whilst Our use of them does not pose any risk to your privacy or your safe use of Our Site, it does enable Us to continually improve Our Site, making it a better and more useful experience for you. Google Analytics These cookies are used by Google to measure user interactions with our website. Google Analytics is a tool that enables us to measure how you interact with our website content and record information about the pages that have been seen as well as other interactions with elements within that content. Cookies are used here to “remember” what you have done previously on pages and with other content elements. We will periodically review this information with our service providers to help us increase the effectiveness of our website as a sales and communication tool. Google may use these cookies to direct advertising to you. Please visit: https://support.google.com/analytics/answer/6004245, under the heading “Google Analytics Cookies”, to find out more information about how Google uses your personal data. Please visit: https://en-gb.wordpress.org/plugins/uk-cookie-consent/, under the heading “EU Directive”. Facebook Analytics These cookies record your visit to our website, the pages you have visited and the links you have followed and enable us to recognise you when you return to our website. These cookies will be accessible to Facebook and will be read by Facebook when you visit their website(s) or use their apps or services. We will periodically review this information with our service providers to help us increase the effectiveness of our website as a sales and communication tool. This cookie has a duration of 180 days. For further information on this cookie, please visit https://www.facebook.com/policies/cookies/. To opt out of this cookie, please email us at info@miromedia.co.uk. Facebook Advertising/ Targeting These cookies record your visit to our website, the pages you have visited and the links you have followed and enable us to recognise you when you return to our website. These cookies will be accessible to Facebook and will be read by Facebook when you visit their website(s) or use their apps or services, so as to present you with relevant advertising via their platforms. This cookie has a duration of 180 days.